There is that point where berry season arrives and you still have some of last year's jam on the shelves. 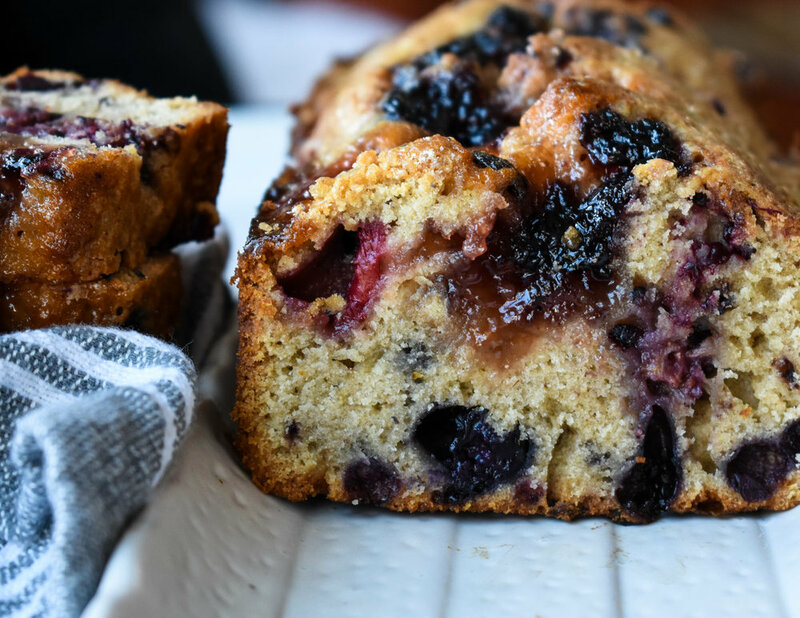 This spring berry jam cake is the perfect way to combine the new and the old. For me, it also brings together my two worlds, my California garden and my Rhode Island garden.